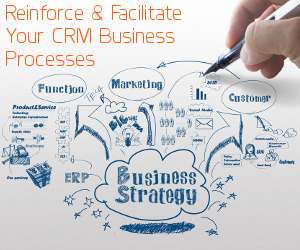 A lot of organizations know Goals exist in Dynamics CRM, but many do not understand or have the time to implement their use. There are a few steps which can make the process seem a little confusing if you try to self-teach them. 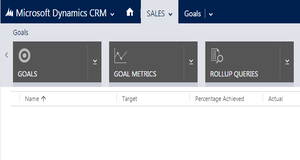 Here’s a tutorial on setting up Goals in Dynamics CRM. Defining Goal Metrics is a two-step process. Provide a name for the goal metric in the required Name text field. In the required Metric Type field, select Count or Amount. If Amount is selected as the Metric Type, the Amount Data Type field is then required, and can have one of three possible values: Money, Decimal, or Integer. Step 2: Define the Rollup Field. This three-step process is described in the next topic. No. of Cases: Use this to create goals for the number of cases resolved in a time period. No. of Product Units: Use this to create goals for the quantity of opportunity products included in open or won opportunities in a time period. Revenue: Use this to create sales goals, defined in terms of open and won opportunities for a time period. Rollup Fields define the record types and fields for which targets are set, and for which actual and in-progress values are tracked. Most goal metrics have two rollup fields: one that defines how the actual values are tracked, and one that defines how the in-progress values are tracked. Defining each rollup field is a three-step process. Step 1: Specify the type of the Rollup Field. The three possible types are Actual, In-progress, and Custom. The most commonly used types are Actual and In-progress. Step 2: Select the Source Record Type, and then the Source Field that a goal is to be set for. After specifying the Source Record Type, the Source Field drop-down list will display only fields from the selected record type with the appropriate data type. For example, if you are defining a money rollup field for the Opportunity record type, only fields such as “Total Amount” and “Total Detail Amount” will be available in the Source Field list. You also must specify which State value defines the rollup field. For example, if you are defining an Actual (Money) rollup field for opportunities, the Source Record Type State field will have a value of “Won”. Optionally, you can specify a value for the Source Record Type Status field. Step 3: Specify the Date Field used to define when a value changes from In-progress to Actual. For an In-progress (Money) rollup field for opportunities, the appropriate value of the Date Field will be “Est. Close Date”. Click Sales in the site map, and then click Goals. On the Goals tab, in the Records group, click New. The Goal form opens. In the General section, enter an appropriate value in the required Name text field. Select the appropriate goal metric using the lookup control for the required Goal Metric field. Assign the goal by selecting a value for either a User or a Team using the lookup control for the required Goal Owner field. In the Time Period section, select either Custom Period or Fiscal Period in the Goal Period Type field. On the Goal tab, in the Save group, click Save. In the Targets section, enter an appropriate value in the Target field. On the Goal tab, in the Save group, click Save & Close. If the “participating records” for the goal are completely specified by the owner of the goal record, then you don’t need rollup queries. If you’ve got records rolling up to your team goal and didn’t use a rollup query, my guess is the records are all OWNED by the team. But suppose you’ve got a goal owned by a team (or a user, for that matter) and you want some records to participate in the goal that are not necessarily owned by the goal owner. That’s what rollup queries are for. For example, a sales manager might be the owner of a goal, but the participating opportunity records are for a product line, or an opportunity type, or for opportunities owned by members of the inside sales team … Those are all examples of situations where the owner of the goal isn’t the same as the owner of the participating records for the goal, and those are situations when you need a rollup query. The Roll Up Only from Child Goals should be set to Yes for situations when you’re using Parent and Child goals, and you don’t want anything rolled up to the parent goal except for child goals. Finally, there’s the situation where you need a “Rollup Query“. This is for situations when the owner of the goal record does not completely specify which underlying records should roll up to the goal. This is actually a pretty common situation. Goals in CRM tend to be underutilized- but are an excellent tool and with a quick walk through or two, your organization can benefit from their value!